Craftster Quickies are our very own video tutorials for quick and easy crafts! Needlework moderator kittykill will show you how to make great crafts in a matter of minutes! 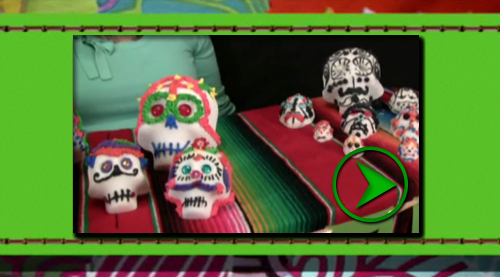 In this episode of Craftster Quickies, kittykill teaches you how to make real sugar skulls! She’ll give you a full tutorial plus helpful tips and tricks to create sugar skulls to use on a Dia de los Muertos altar, or just for decoration! Dangerously cut plush and more available in my Etsy shop! !